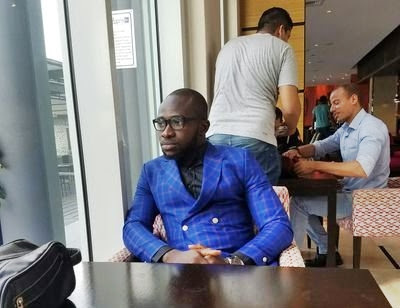 A good Nigerian identified as Rex David, has taken to social media to reveal what happened when he returned $3000 mistakenly transferred to him. 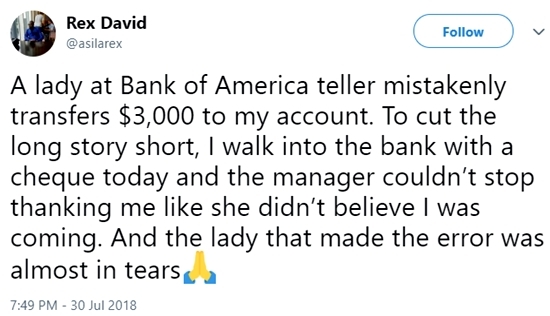 "A lady at Bank of America teller mistakenly transfers $3,000 to my account. "To cut the long story short, I walk into the bank with a cheque today and the manager couldn’t stop thanking me like she didn’t believe I was coming. And the lady that made the error was almost in tears."